Editorial Keep Modelling - 2! Comment on the state of the hobby in the UK. 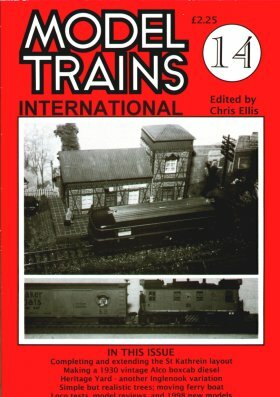 US­outline Inglenook layout, with trackplan and photos. German outline Inglenook layout, with photos and trackplan. Information about rail activity in this Canadian port, with photos. Layout idea Ferry Interesting ... but Stupid! Various ideas for 'moving' Ferry or Car Float models, with drawings. How to model realistic trees, with photos. Photos of the late Howard Bennett's GWR outline layout with photos and trackplan.